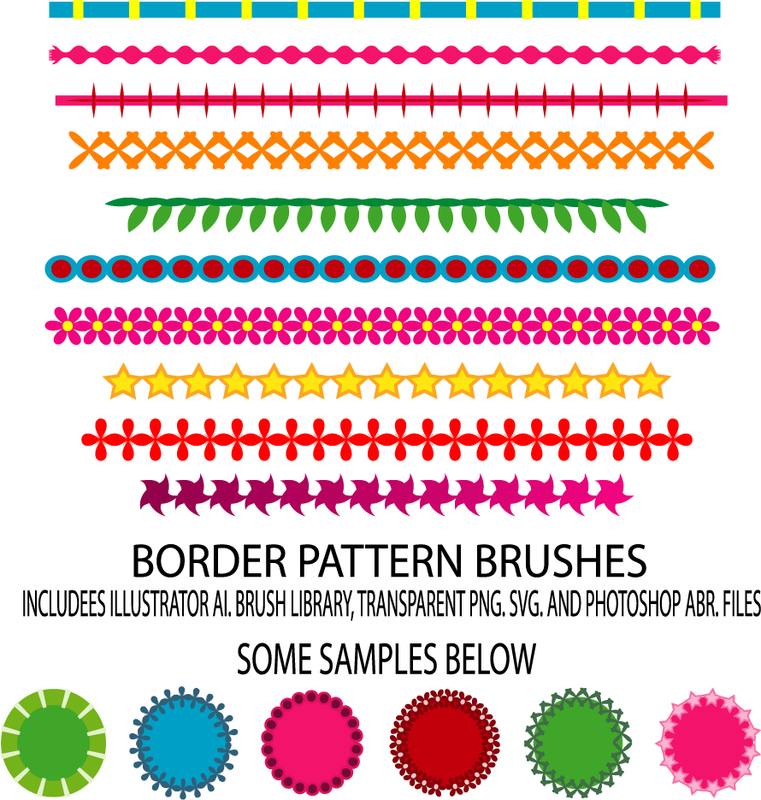 I have a set of border brushes both for Adobe Illustrator and Adobe Photoshop..This zip includes 1 AI. 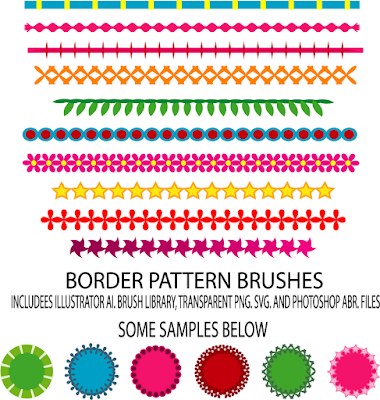 file with separate brush library, 1 ABR. file for Pphotoshop 1 SVG. file, and 1 PNG. file..